Share the Love. Don't be Strangers! You must be a member of the Dallas Bar & Lounge Group to attend this activity. Would you like to join this group? 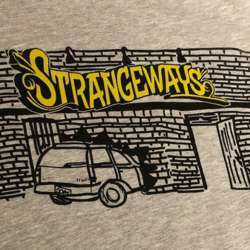 The owner of Strangeways has graciously offered to do a special cocktail and $7 wines and $4 wells for us. Parking lot available behind Strangeways or next door at the salon. DO NOT park at La Michoacana.